Indian television maker Super Plastronics Pvt Ltd. has launched a new TV range called Kodak XPRO in India today. There are two TVs in the series – Kodak 32HDXSMART XPRO with 32-inch screen and a Kodak 40FHDXSMART XPRO that comes with a 40-inch screen. Both the newly launched smart TVs come with a variety of features at an affordable price. 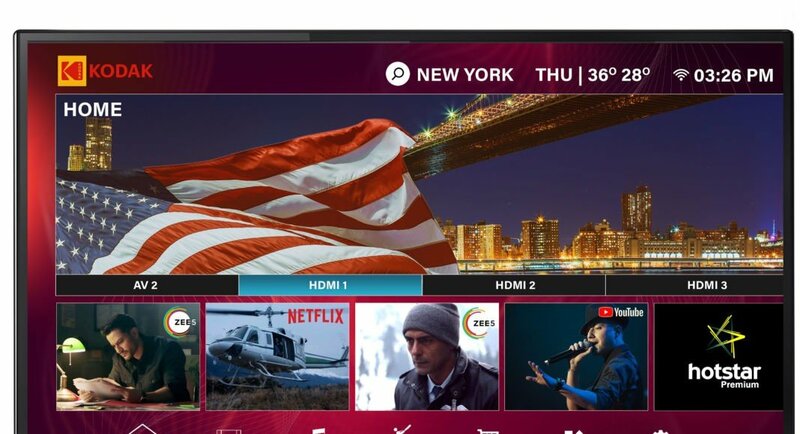 The 32-inch variant of the smart TV comes with 1366 x 768 pixels display while the 40-inch variant of the smart TV comes with a 1920 x 1080 pixels display. They are powered by a quad-core CPU coupled with 1GB of RAM and 8GB of flash storage. The Kodak 32HDXSMART XPRO TV holds a price tag of Rs 10,999 while the Kodak 40FHDXSMART XPRO TV is priced at Rs 16,999. Both smart TVs comes with only one colour option – Black. Both the newly launched smart TVs will be exclusively available on Flipkart till April 20. 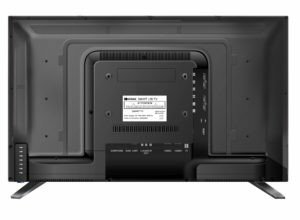 The Kodak 32HDXSMART XPRO TV is a 32-inch variant of the smart TV and it is powered by a quad-core processor clocked at 1.5GHz coupled with a Penta Core ARM Mali 450MP with clock speed up to 750MHz GPU. It has 1GB of RAM and 8GB of flash storage. The display size of the smart TV is 80 cm and it comes with a 1366 x 768 pixels resolution display. The maximum audio output of the TV is 20W and it comes with five sound modes to choose from — Standard, Music, Movie, Sports, User. Being a smart TV, the Kodak 32HDXSMART XPRO TV comes with some pre-loaded apps such as Netflix, Amazon Prime, YouTube, Gmail, Facebook, Hotstar, Easy Share etc which can be used by the user as per his/her choice. Lastly, the Kodak 32HDXSMART XPRO TV runs Android 7.1 Nougat and supports Wi-Fi connectivity along with USB connectivity. On the other hand, the 40-inch variant of the smart TV, the Kodak 40FHDXSMART XPRO TV is also powered by a quad-core CPU clocked at 1.5GHz coupled with a Penta Core ARM Mali 450MP with a clock speed up to 750MHz GPU. It has a screen size of 102cm and comes with a 1920 x 1080 pixels resolution display. That’s the only difference between the two smart TVs, rest of the specifications of the Kodak 40FHDXSMART XPRO TV as the same as that of 32-inch variant’s. It has 1GB of RAM and 8GB of flash storage. The display size of the smart TV is 80 cm and it comes with a 1366 x 768 pixels resolution display. The maximum audio output of the TV is 20W and it comes with five sound modes to choose from — Standard, Music, Movie, Sports, User. The Kodak 40FHDXSMART XPRO TV also comes with few pre-loaded apps such as Netflix, Amazon Prime, YouTube, Gmail, Facebook, Hotstar, Easy Share etc which can be used by the user as per his/her choice. Lastly, the Kodak 40FHDXSMART XPRO TV runs Android 7.1 Nougat and supports Wi-Fi connectivity along with USB connectivity. 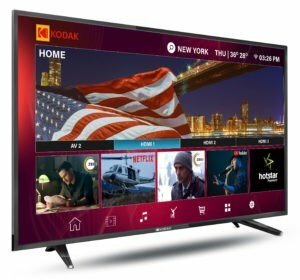 With the launch of a new smart TV series in India Kodak is attempting to bring the smart features to the Indian consumers at an affordable price.